UPDATE: A base was taken during the World Series, which means FREE Doritos Locos Tacos on November 1st! Just stop in any participating Taco Bell from 2-6PM to enjoy your free taco! Hey, taco fans! 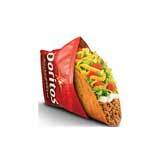 I wanted to give you all a heads up that you might be able to score a FREE Doritos Locos Taco on November 1st! If there is a stolen base during the 2018 World Series, everyone can head to Taco Bell on November 1st from 2-6PM for a free taco. Today only (10/11), Starbucks is hosting another Happy Hour, after 3 pm! You will be able to score 50% off Grande or Venti Frappuccinos – no coupon required! Simply sign up for Starbucks Happy Hour deals to view this offer. Free Scary Face Pancakes For Kids at IHop! 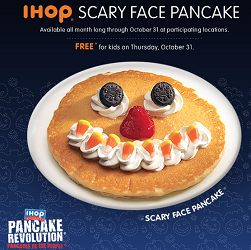 On 10/31, from 7 am – 10 pm IHOP will be offering a FREE Scary Face Halloween Pancake for kids 12 and under. Be sure to call your local IHOP to be sure they are participating. 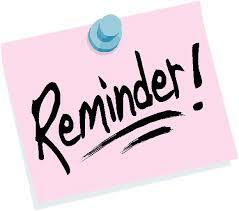 *I will post a reminder for this! Don’t feel like cooking? No problem because Dominos has you covered, without hurting your wallet!! 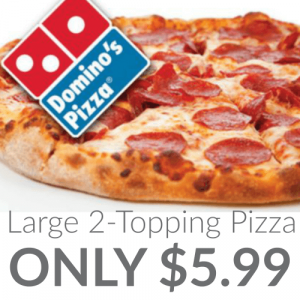 Now through September 23rd, you can head on over to Dominos.com to score Large 2-Topping Pizzas for only $5.99 each! 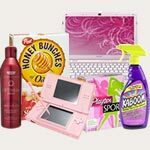 Simply click the red “Order Now” button where this deal is mentioned. Please note that this deal is valid for carryout only. Enjoy! 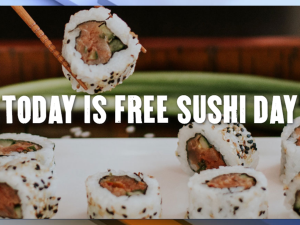 Today at P.F Chang’s, you can snag a FREE Spicy Tuna Roll or California Roll! No purchase necessary, dine-in only. Limit one roll per person. 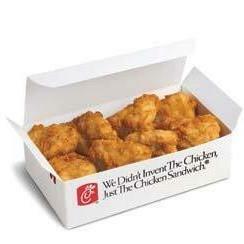 Download or open the Chick-Fil-A App (iOS or Android) and you’ll score FREE 8-Count Chicken Nuggets! You will get to choose from either grilled or breaded! Simply sign into your Chick-fil-A One account on the app. The offer will pop up on your app and is valid through September 29th. Today is the day folks! Heads up! 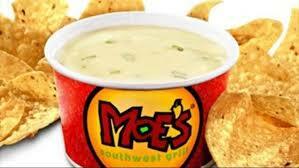 On September 20th, you can snag a FREE Cup of Queso at Moe’s Southwest Grill! 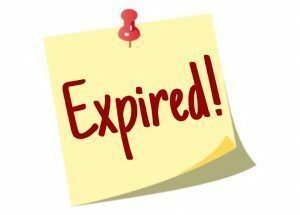 No purchase necessary and no coupon required. 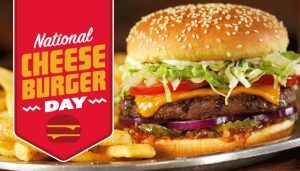 September 18th is National Cheeseburger Day, and to celebrate, Red Robin will be offering cheeseburger and bottomless fries for just $5.00! Please note that this offer is for dine-in only and you must purchase any beverage to get this special offer. I will post a reminder for this deal! 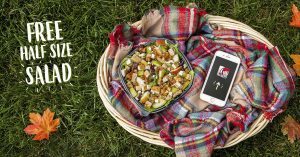 To celebrate fall, Wendy’s will be offering a FREE half-size order of their new Harvest Chicken Salad with ANY purchase when you use their mobile app! This deal is valid on September 22nd only. Wendy’s Harvest Chicken Salad touts brown sugar walnuts, green and red apples, feta cheese, Applewood smoked bacon, a savory Apple Cider Vinaigrette salad and is topped with chicken breast. Sounds like a delicious deal to me!